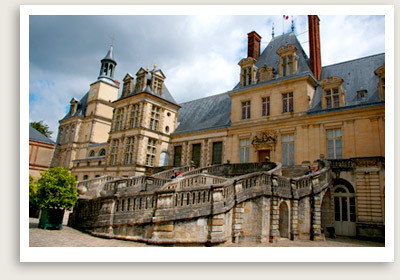 Barbizon & Fontainebleau Tours Include: Your private tours from Paris to Fontainebleau and Barbizon include entrance tickets, services of a private tour guide, private transportation to and from Paris, taxes, tolls, parking. Your private tour guide will give you an introduction to the history of the palace, which for 800 years was one of the most appreciated residences of the French kings and emperors, from Louis VI to Napoleon III. After a stroll in the gardens, you will drive to the idyllic village of Barbizon, which inspired 19th-century landscape painters like Millet, Corot and Rousseau.